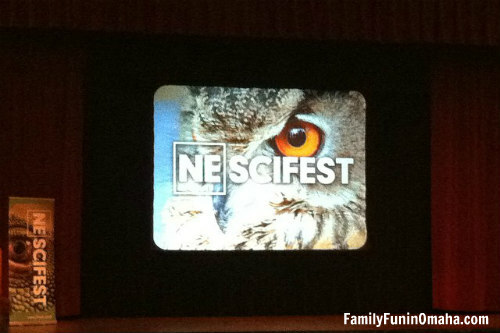 The Nebraska Science Festival is a multi-day celebration designed to make science fun for kids and adults alike. 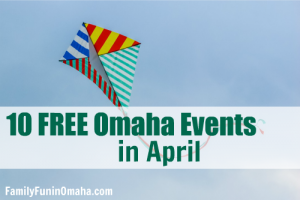 Enjoy a wide variety of events for all ages, including many with FREE or discounted admission! The 2019 Science Festival will be held April 5-28, 2019. It is always a good idea to verify the event information as details may change. Over 100 water rocket launches will occur for the public to view. Location: Fontenelle Elementary, 3905 N. 52nd St., Omaha, NE. Students can move through open interactive stations in Roskens Hall from 10 a.m. – 2 p.m. Location: 6001 Dodge St, Omaha. Discover a day of mystery and illusion with demonstrations, hands-on activities and interactive fun on the science behind Harry Potter and comic book heroes. Guests are encouraged to come in costume of their favorite character. Cost: The event is FREE for guests age 12 and under, and general admission applies to adults: $12 for adults, and $11 for military/seniors. Location: SAC Museum, 28210 W. Park Hwy., Ashland, NE. On Saturday April 6th, Branched Oak Observatory will be open between 2 – 4 p.m. for SAFE viewing of our closest star, the Sun with VERY SPECIAL telescopes. That same evening, between the hours of 8:00 p.m. and Midnight, explore the wonders of the night sky through a variety of telescopes. See galaxies, nebulae, star-clusters and the red planet Mars. The rain-date for this event will be on April 27th should there be inclement weather. Location: Branched Oak Observatory (just outside of Lincoln, Nebraska), 14300 NW 98th St, Raymond, NE. See many more events to celebrate Earth Day here! Learn about the Science of Ice Cream and Dry Ice. Registered kids will be given a small tour of the facility, a lesson on how ice cream is made, and a brief history of ice cream. Plus, learn the differences in density and composition between gelato, sorbet and ice cream. RSVP to nescifest@gmail.com as space is limited. Location: eCreamery, 5001 Underwood Ave., Omaha, NE. 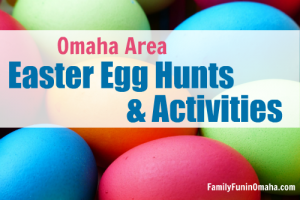 Omaha Children’s Museum has fun activities, such as making volcanos and UV bracelets, and science shows to help your little scientist explore scientific concepts. Included with regular admission. 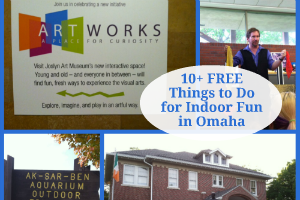 Location: Omaha Children’s Museum, 500 S. 20th St., Omaha, NE. Join the Omaha-Metro Area in competing against more than 60 cities across the globe for the title of “the world’s most biodiverse city” during this unique experience. As a community, explore the great outdoors in search of as many plant and animal species as possible and using mobile devices and record the findings. Visit OmahaZoo.com/CityNatureChallenge for more information. Participate in fun and engaging hands-on learning opportunities. Find many more fun activities during the Nebraska Science Festival here!